One of Gibraltars leading Recycling Company's. Metalrok Limited is an establish recycling company that deal with different types of waste, such as: ferrous and non-ferrous metals, end of life vehicles, waste paint, hazardous waste, WEEE, lead batteries, florescent lighting, paper, cardboard, glass, plastic bottles, can, tetrabrik, mattresses and discarded household furniture etc. 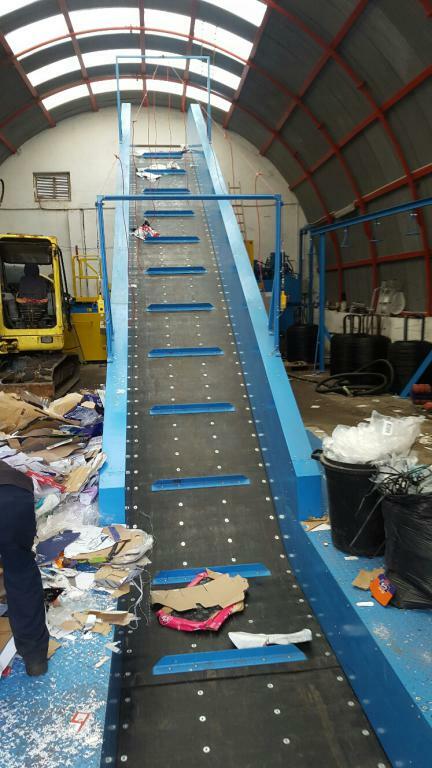 Metalrok Limited uses the new Recycling Baler will be used for cardboard, paper, cans and mixed packaging waste. Metalrok Limited have created a recycling programme in Gibraltar, which will help achieve sustainable development with the intention of increasing environmental quality for all. EU Funding helped with the purchase and Freight of the Recycling Baler. More information on is available on the Metalrok's website.